It's an epic trilogy of enchanted adventures! 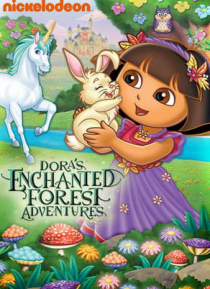 Help Dora's friend Unicornio become king, journey to Atlantis to make peace between unicorns and dragons, and in the double-length finale, help Dora and Boots save King Unicornio's Enchanted Forest from Owl! Vamonos!